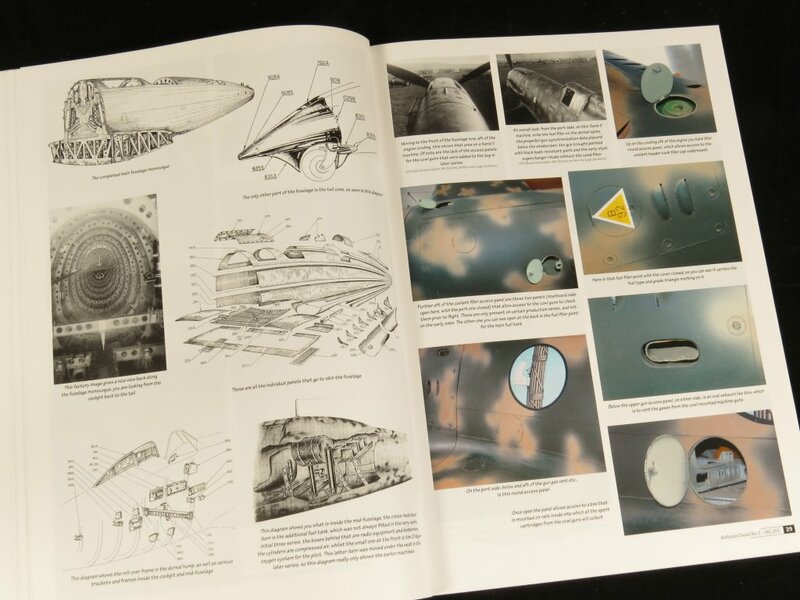 The Macchi MC.202 A Technical Guide is the third title in the Valiant Wings Airframe Detail series described as books for the avid aviation modeller and enthusiast. 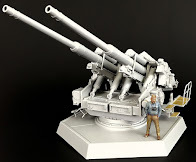 Scale modellers have never had it so good. 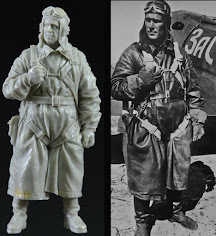 Right now all manner of historic aircraft types can be built in the popular scales. 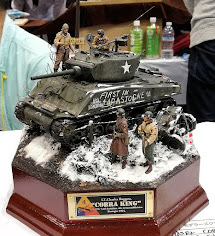 However, for the serious modeller and enthusiast references can be scarce or hard to find for many of these interesting types. 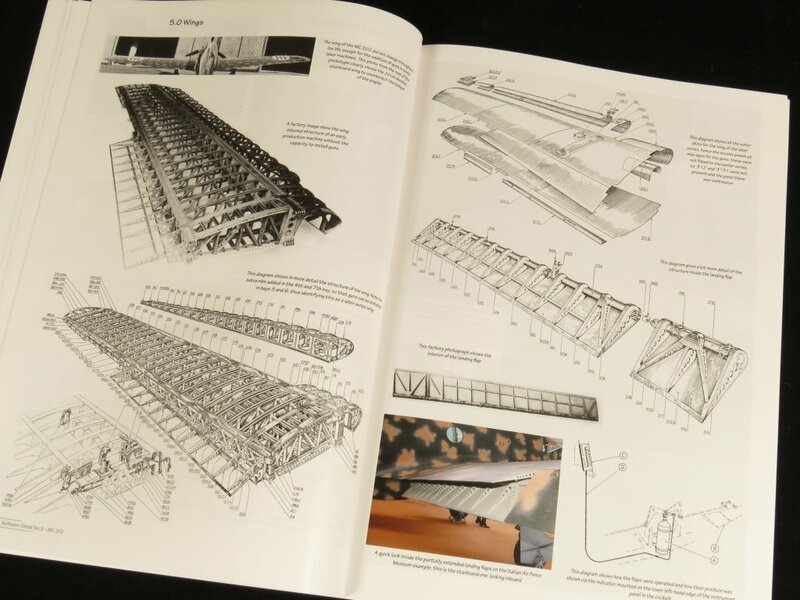 Valiant Wings Airframe Detail is designed to address this, providing a one-stop reference guide for anyone wishing to model certain aircraft. 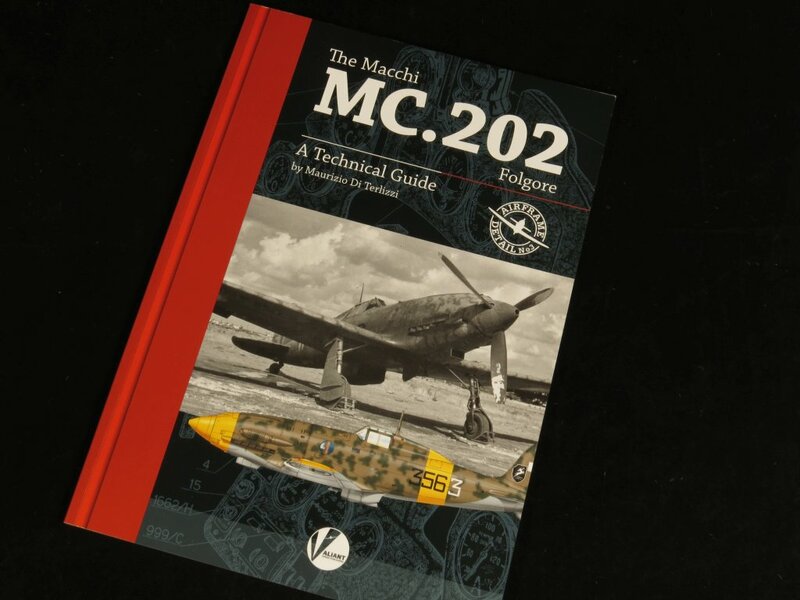 Introduction - 10 pages providing a brief history of the development and operational use of the Macchi MC.202. 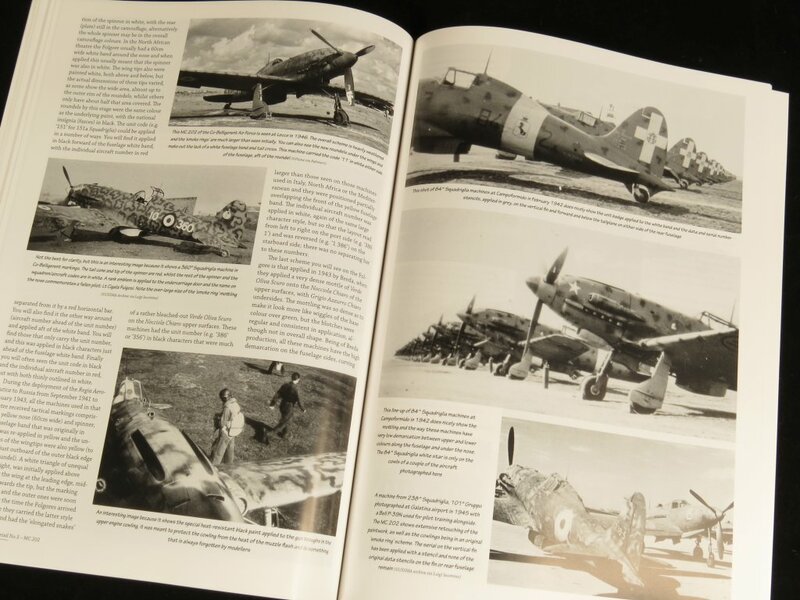 Information is provided regarding Combat with the Regia Aeronautica across all theatres from North Africa, Malta, Russia, Tunisia, Home Defence in Italy and finally the use in the Co-Belligerent Air Force after the 1943 armistice. 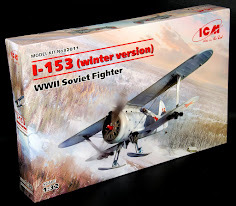 Appendix I-IV - 5 pages listing MC.202 Kits, Accessories, Paint Masks, Decals and Publication Bibliography. The Introduction Brief History section provides a summary of the development of the MC.202 including its dependency of the German made Daimler-Benz DB.601A engine (which was Italian-built under license). 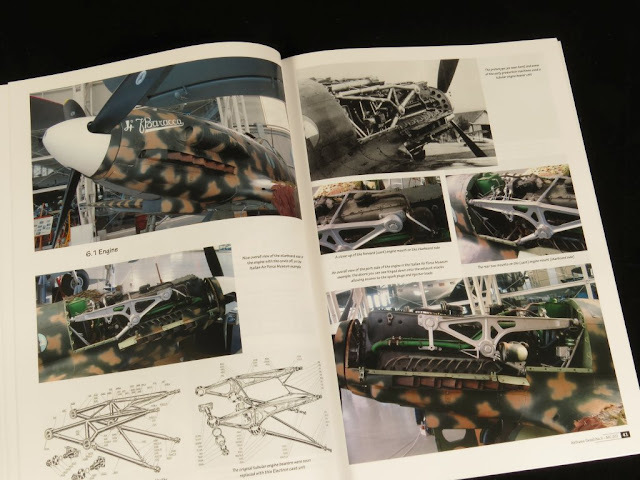 The DB.601 generated more power than the available Italian engines of the time. 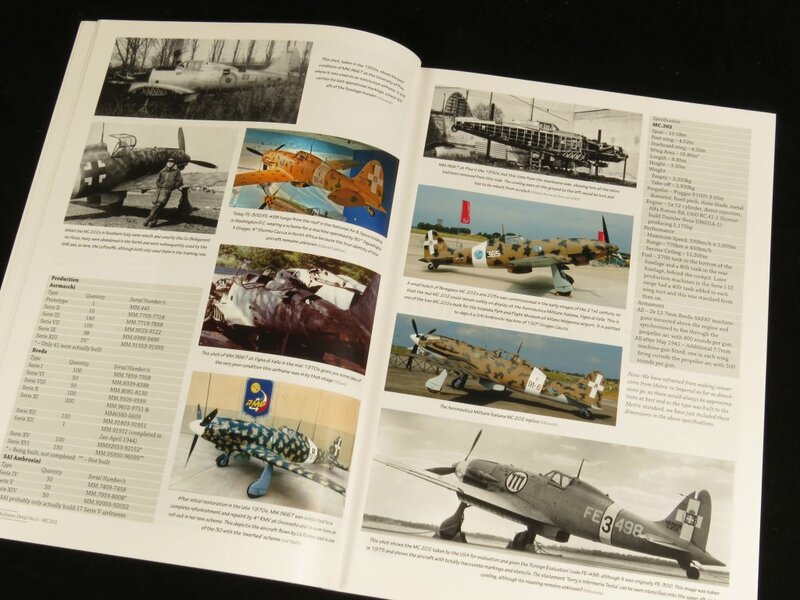 Like other Valiant Wings titles we are provided with a generous range of black & white and colour photos. 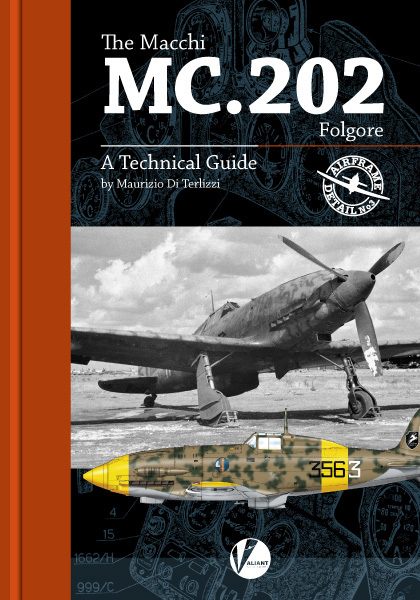 The MC.202 was used across a wide range of theatres by the Regia Aeronautica and these are discussed in summary along with each variant of the airframe. 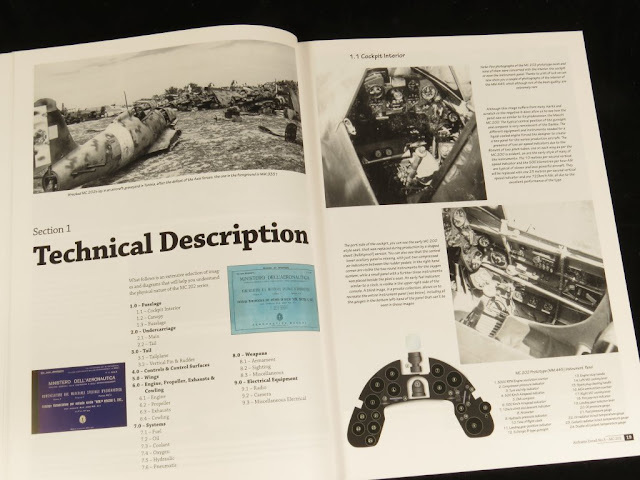 Section 1 - Technical Description is logically broken down into 9 sub-sections. Being part of the Valiant Wings Airframe Detail series, we would expect a very thorough coverge and this book does not disappoint. 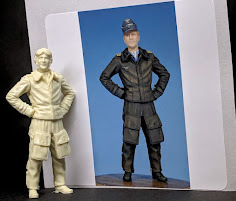 All photos (even period photos) are reproduced with good exposure and clarity and I have found this to be consistent across the Valiant Wings range. 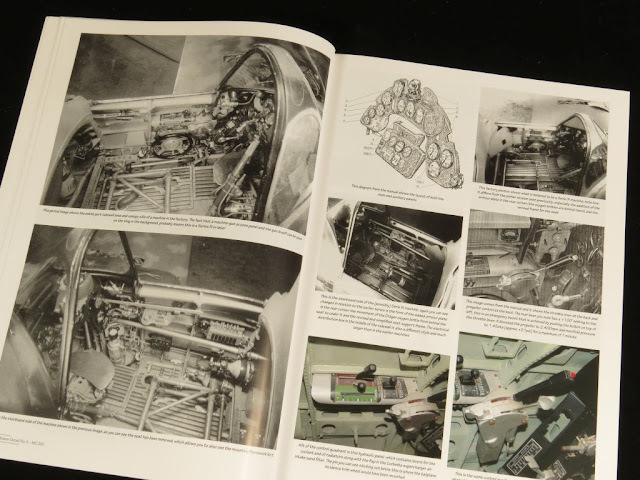 Exploded and factory drawings are also included to provide further coverage in each area. 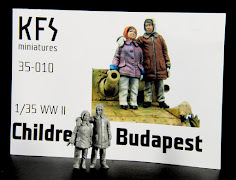 Close up details are mostly provided in photo form from museum or restored examples. 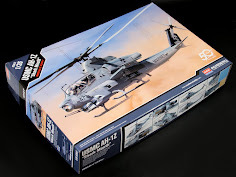 The usual caveats apply to anyone basing their model on such airframes, especially when matching paint colours. 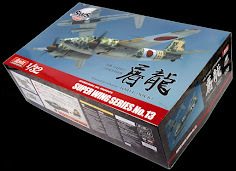 Some of the detail is probably above and beyond what we as modellers would need (such as the interior construction of the wings) but having said that there is no substitute for original manufacturer drawings like these when we want to work out just exactly where the wing panels should be represented on the surface of our model. 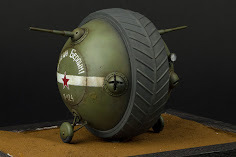 I really like the use of period WWII photos and engineering drawings as these are often the hardest to come across when relying only the internet via Google searches. Each and every part of the MC.202 has been covered in great detail and its hard to imagine how anyone else could do more than what Valiant has provided us. 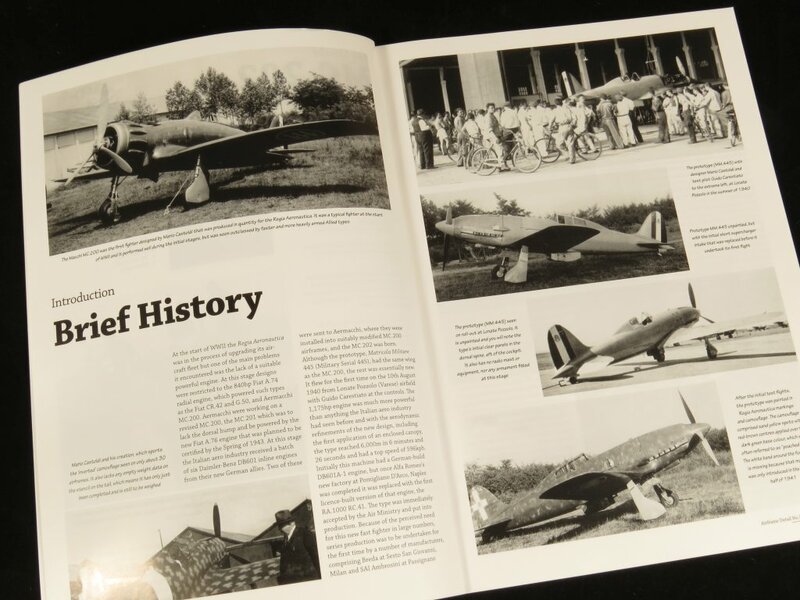 The Macchi C.202 was flown by almost all the most successful Italian aces: Adriano Visconti, Luigi Gorrini, Franco Lucchini, Franco Bordoni Bisleri, Furio Niclot Doglio and top scorer Sergente Maggiore Teresio Vittorio Martinoli, credited with 22 individual "kills" plus two probables and 14 shared. 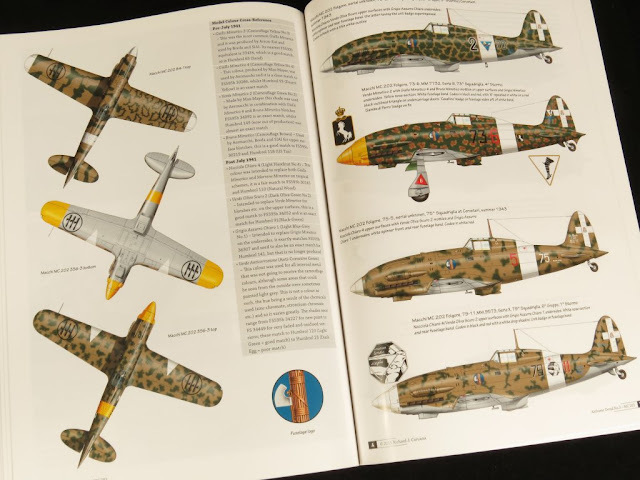 Italian aircraft, and the Macchi C.202 in particular, always had particular paint schemes. The three companies that built the Folgore, Macchi, Breda and SAI all had specific types of of markings, colours, mottling shape and service stencils that are unique to the machines made by each firm. By far the most visually appealing (to me at least) schemes of WWII Italian AF aircraft are the desert or so called 'North Africa' schemes. 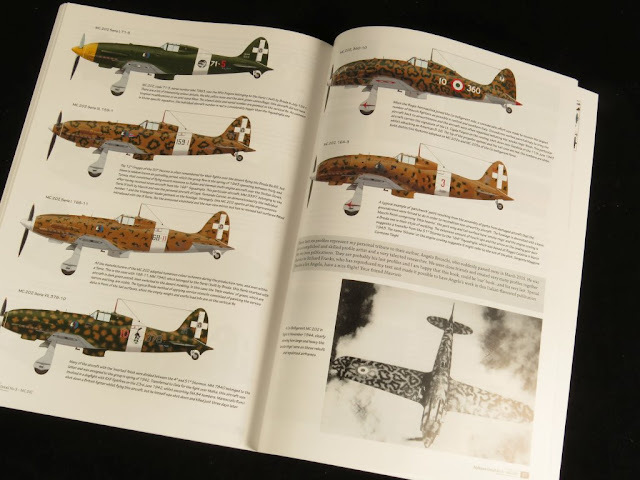 All aircraft based overseas were to be painted Nocciola Chiaro (Light Hazelnut Brown) with blotches of Verde Oliva Scuro (Dark Olive Green) on the upper surfaces, to produce a mottled effect. 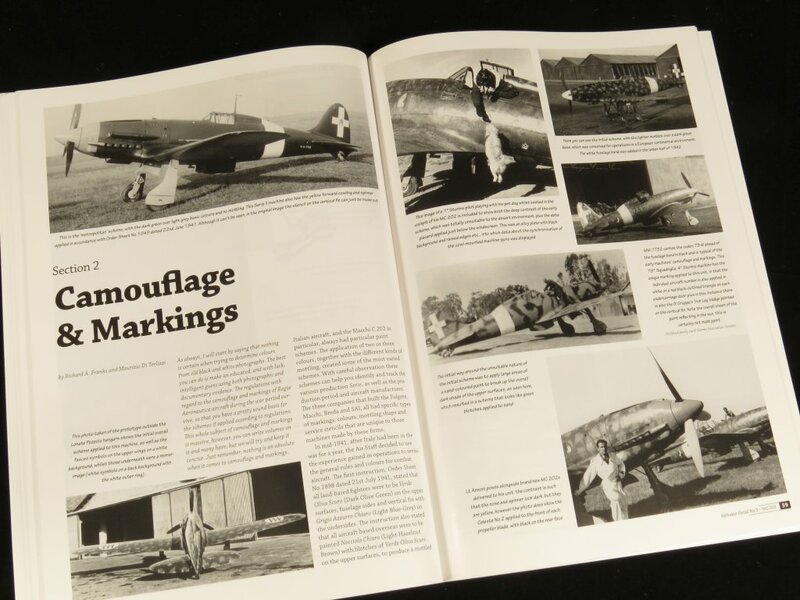 The distinctive 'smoke rings' scheme is but one variation of how this general instruction was applied to aircraft. 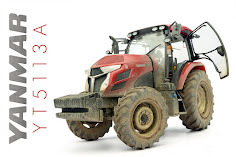 In all, 26 colour side profiles are provided by artist Richard J Caruana. 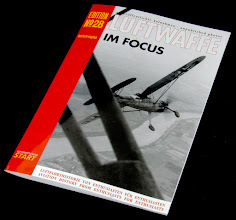 Most, but not all, are the attractive 'North Africa' sand scheme but if you are looking for something different for your Folgore then several Luftwaffe and Post War options are also documented. The final section of the book is dedicated to scale models and accessories for the MC.202 Folgore. 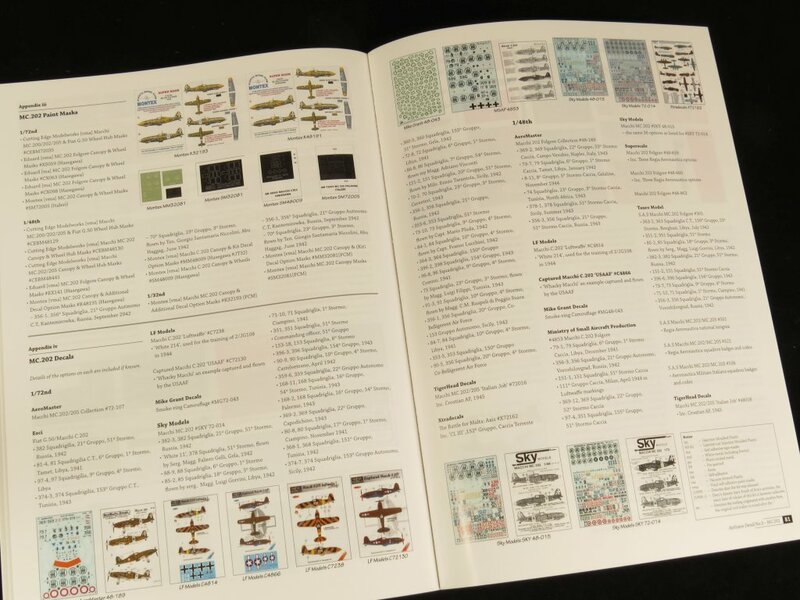 Across four pages lists of kits, decals, paint masks and accessories are itemised. 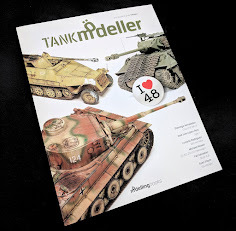 Unlike other Valiant book series aimed at modellers, this book contains no build reviews. 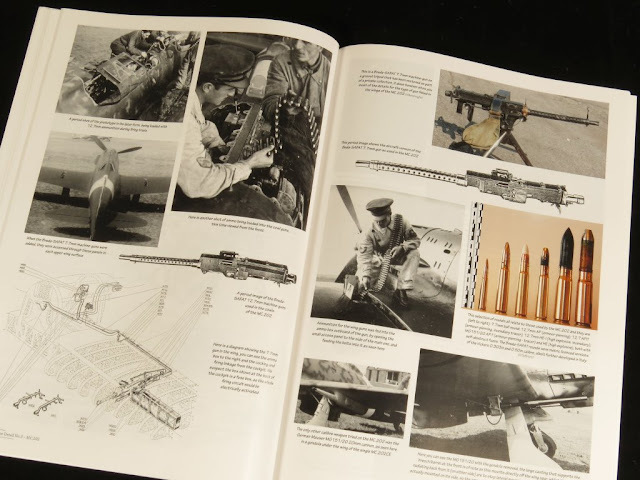 Once again Valiant Wings Publishing has found the right balance needed in an 'all-in-one' format reference book. 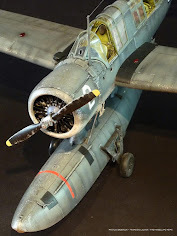 The book is aimed squarely at modellers and I plan to use mine extensively when I get around to starting my Pacific Coast Models MC.202 in 1:32 scale. 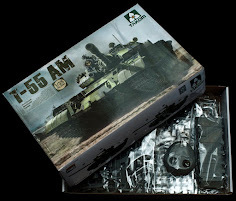 For the asking price you get excellent value for money with comprehensive photographic and diagrammatic material, more than enough to satisfy even the most detail minded modeller. 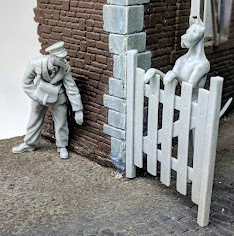 The book itself is made from a heavy grade gloss finish paper which results in great picture clarity and makes it a fine addition to any modelling library. 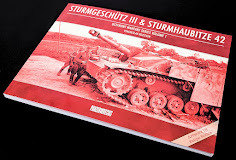 Highly recommended for modellers and enthusiasts alike.